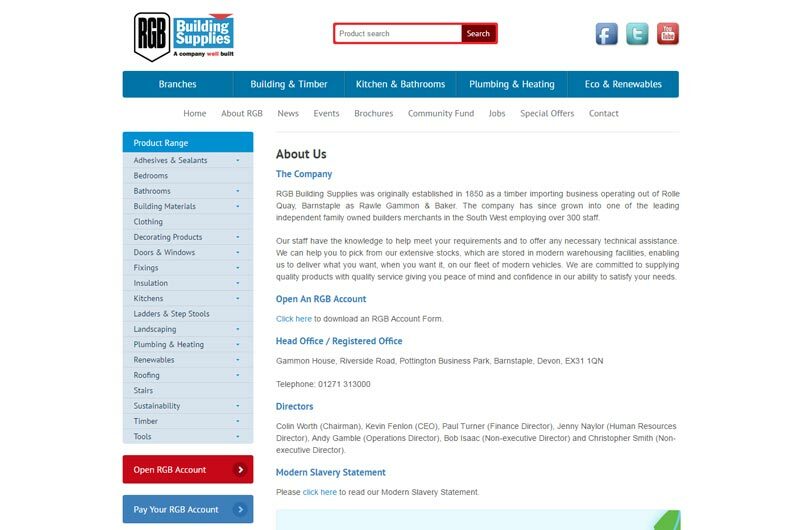 RGB Building Supplies is a leading builders merchants in the South West of England, supplying kitchens, bedrooms, bathrooms, garden products, landscaping tools and much more. The company has been operating for over 150 years. They supply a wide range of essential building materials, plus specialist products that you may have heard about. RGB Building Supplies was established in 1850 as a timber importing business based at Rolle Quay, Barnstaple as Rawle Gammon & Baker. The company has since grown into one of the leading independent family owned builders merchants in the South West employing over 300 staff. Visit www.rgbltd.co.uk to learn more and find your nearest outlet.